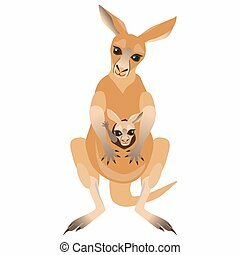 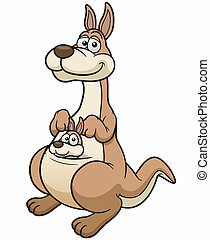 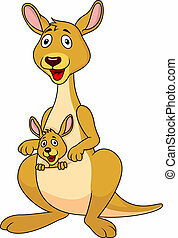 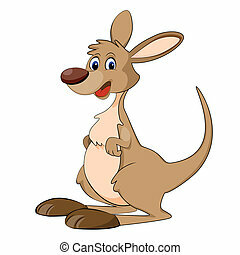 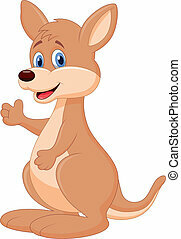 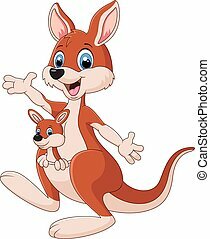 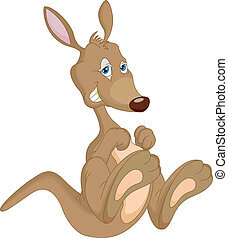 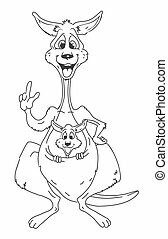 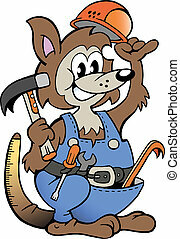 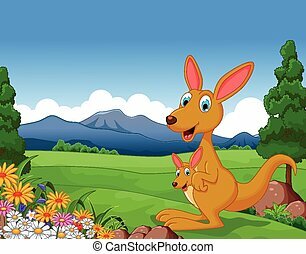 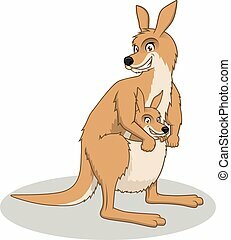 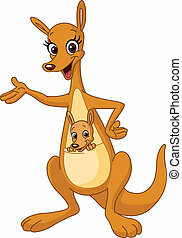 Cartoon kangaroo and joey. 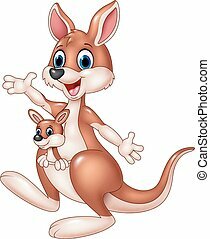 Pointing cartoon kangaroo and its baby joey. 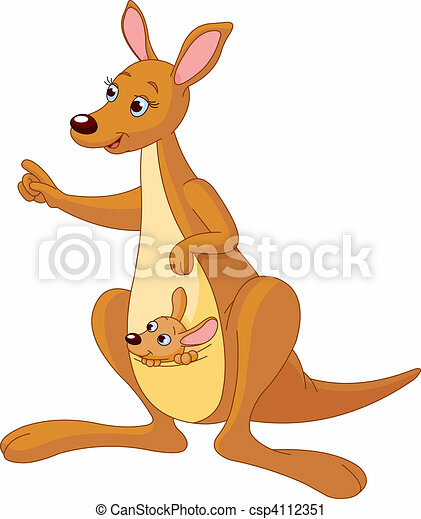 Pointing cartoon kangaroo and its baby Joey. 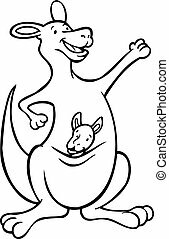 Kangaroo illustration in a hand drawn illustration style.